Family Entertainment Centers and Commercial Arcades. 3 tips to improve the popularity of the FEC and Commercial Arcades? 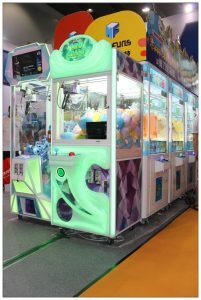 It is highly competitive in the entertainment industry, then we think of ways to improve the popularity of the Family Entertainment Centers and Commercial Arcades to increase revenue. Tips on how to improve the popularity of the Family Entertainment Centers and Commercial Arcades. First, choose suitable device: amusement equipment . According to the style of the venue or shopping malls choose a device. 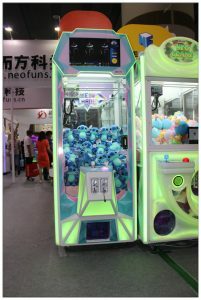 It is most significant for amusement equipment with a beautiful appearance that attracts the attention of consumers to come in commercial arcades, exchange coin to play claw machine, then share their toy dolls with friends in facebook or ins. These are girls’ daily! The number of game machines is not less than 6 units in per venues. If the equipment is too small, the turnover is low. So that a piece of suitable equipment should give your site to improve popularity. Then, choose a trendy and exquisite doll. 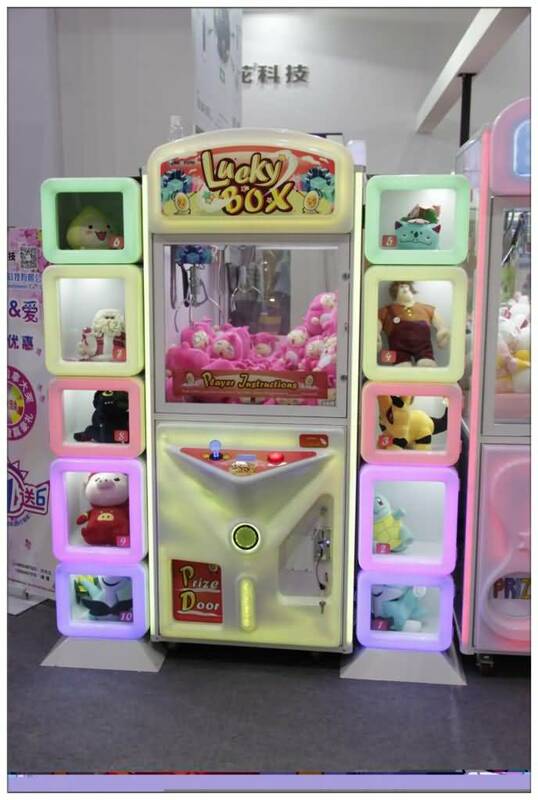 We all know that the crane machine industry is entity retail in an entertaining way to sell dolls. Good-looking, exquisite, lovely, trendy, unique dolls always make people feel pleasure and inspire their desires by taking up dolls. And they would like to put on the coin to continue to play. At least, the skill for collocating dolls. The internal arrangement determines whether consumers will choose this device. It is estimated most people to take a look and turn away if dolls are being put too messy and tight to claw difficultly. The skill for collocating dolls plays a key role in promoting consumption. For example, you can slightly put the doll a little higher, this will improve the playability. We can try our own imagination to create more ways. But you can reduce the probability of winning to avoid material loss.